Madrid is the capital of Spain and the largest municipality in both the Community of Madrid and Spain as a whole. The city has almost 3.3 million inhabitants and a metropolitan area population of approximately 6.5 million. It is the third-largest city in the European Union (EU), smaller than only London and Berlin, and its monocentric metropolitan area is the third-largest in the EU, smaller only than those of London and Paris. The municipality covers 604.3 km2 (233.3 sq mi). Paseo de Recoletos is a wide boulevard in central Madrid leading from Plaza de Cibeles to Plaza de Colón. During the 19th century, confiscations, purchases and donations enabled the Biblioteca Nacional to acquire the majority of the antique and valuable books that it currently holds. In 1892 the building was used to host the Historical American Exposition. On March 16, 1896, the Biblioteca Nacional opened to the public in the same building in which it is currently housed and included a vast Reading Room on the main floor designed to hold 320 readers. 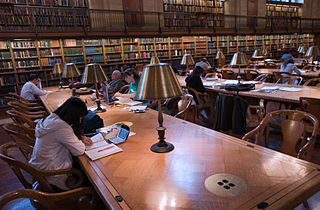 In 1931 the Reading Room was reorganised, providing it with a major collection of reference works, and the General Reading Room was created to cater for students, workers and general readers. The 1892 Historical American Exposition held in Madrid was intended to mark the four hundredth year of the discovery of America. The Spanish Civil War took place from 1936 to 1939. Republicans loyal to the left-leaning Second Spanish Republic, in alliance with the Anarchists and Communists, fought against the Nationalists, an alliance of Falangists, Monarchists, and Catholics, led by General Francisco Franco. The war was known as a struggle between democracy and fascism, particularly due to the international political climate. The Nationalists won the war in early 1939 and ruled Spain until Franco's death in November 1975. Alcalá de Henares is a Spanish city located 35 kilometres northeast of the country's capital, Madrid. It stands out for its rich archaeology and was one of the first bishoprics founded in Spain. Locally, it is generally known simply as "Alcalá", but "de Henares" is appended when needed to differentiate it from a dozen Spanish cities sharing the name Alcalá. The Latin name, Complutum, is sometimes used. The city is the capital of its namesake region, Comarca de Alcalá. Its historical centre is one of UNESCO's World Heritage Sites. Since his investiture after the 2015 local election the Mayor is Javier Rodríguez Palacios (PSOE). Legal deposit is a legal requirement that a person or group submit copies of their publications to a repository, usually a library. The requirement is mostly limited to books and periodicals. The number of copies varies and can range from one to 19. Typically, the national library is one of the repositories of these copies. In some countries there is also a legal deposit requirement placed on the government, and it is required to send copies of documents to publicly accessible libraries. The Paseo del Prado is one of the main boulevards in Madrid, Spain. The Paseo del Prado is the oldest historical city street in Madrid and was declared Bien de Interés Cultural (BIC). It runs north-south between the Plaza de Cibeles and the Plaza del Emperador Carlos V, with the Plaza de Cánovas del Castillo lying approximately in the middle. The Paseo del Prado forms the southern end of the city's central axis. The University of Alcalá is a public university located in Alcalá de Henares, a city 35 km northeast of Madrid in Spain and also the third-largest city of the region. It was founded in 1293 as a Studium Generale for the public, and was refounded in 1977. The University of Alcalá is especially renowned in the Spanish-speaking world for its annual presentation of the highly prestigious Cervantes Prize. The University currently enrolls 28,336 students, 17,252 of whom are studying undergraduate degrees which are taught by a teaching staff of 2,608 professors, lecturers and researchers belonging to 24 departments. The University is also proud of its modern and efficient administration, which is carried out by the Administration and Services, comprising approximately 800 people. The Plaza de Cibeles is a square with a neo-classical complex of marble sculptures with fountains that has become an iconic symbol for the city of Madrid. It sits at the intersection of Calle de Alcalá, Paseo de Recoletos and Paseo del Prado. Plaza de Cibeles was originally named Plaza de Madrid, but in 1900, the City Council named it Plaza de Castelar, which was eventually replaced by its current name. The National Library of Colombia is the national library of Colombia. The library is a dependency of the Colombian Ministry of Culture. Salamanca is one of the 21 districts that form the city of Madrid, Spain. Salamanca is located to the northeast of the historical center of Madrid. Salamanca lies east of the district of Chamberí, north of Chamartín, and south of Retiro. Salamanca counts approximately 151.000 inhabitants. The National Library of Mexico is located in Ciudad Universitaria, the main campus of the National Autonomous University of Mexico (UNAM) in Mexico City. It was first established on October 26, 1833. The Biblioteca Nacional de Uruguay is the National Library of Uruguay, located in Montevideo. It was created in 1815 and is the legal deposit and copyright library for Uruguay. It has been located in its current building since 1955. In 2006, it had more than 900,000 books, and 20,000 periodicals, audiovisual materials, maps, scores, engravings, watercolors, photographs and manuscripts. The Biblioteca Nacional de Portugal is the Portuguese national library, fulfilling the function of legal deposit and copyright. The Library of Catalonia is a Catalan library located in Barcelona, Catalonia, Spain. The mission of the Library of Catalonia is to collect, preserve, and spread Catalan bibliographic production and that related to the Catalan linguistic area, to look after its conservation, and to spread its bibliographic heritage while maintaining the status of a center for research and consultation. The Madrid Codices I–II, are two manuscripts by Leonardo da Vinci which were discovered in the Biblioteca Nacional de España in Madrid in 1965 by Dr. Jules Piccus, Language Professor at the University of Massachusetts. The Madrid Codices I was finished during 1490 and 1499, and II from 1503 to 1505. Juan de la Cuesta (?-1627) was a Spanish printer known for printing works by Miguel de Cervantes, including the first edition of Don Quixote de la Mancha (1605) and the Novelas ejemplares (1613), as well as the works of other leading figures of Spain's Golden Age, including several by Lope de Vega. Glòria Pérez-Salmerón was Director of the National Library of Spain (BNE). She is President of the Spanish Federation of Societies of Archivist, Librarians, Documentalists and Museology (FESABID) and 2017-2019 President of the International Federation of Library Associations and Institutions (IFLA). Jaime Alvar Ezquerra is a Spanish historian, author and professor at the Charles III University of Madrid, specializing in ancient history. Ana Santos Aramburo is the director of the National Library of Spain, effective February 2013. In 2018, two firms in Spain ranked among the world's biggest publishers of books in terms of revenue: Grupo Planeta and Grupo Santillana. In 2013, there were 524,213 titles in print in Spain, including 76,434 new titles. In Spain, the national 2011 "Ley de la Ciencia, la Tecnología y la Innovación" requires open access publishing for research that has been produced with public funding. The first peer-reviewed open access Spanish journal, Relieve, began in 1995. Publishers CSIC Press and Hipatia Press belong to the international Open Access Scholarly Publishers Association. ↑ "Carnés de la Biblioteca". www.bne.es (in Spanish). 20 March 2012. Retrieved 4 February 2017. ↑ "Carné de investigador. Biblioteca Nacional de España". www.bne.es (in Spanish). 12 December 2011. Retrieved 4 February 2017. ↑ "Cronología. National Library of Spain" . Retrieved 5 May 2017.